Payment terminal cloud is an innovative concept in the merchant services market. Thanks to non-blocking input\output technology (NIO), it is now possible to create terminal clouds, sometimes involving thousands of payment terminals, connected to the server. Traditional non-embedded (and many embedded) payment terminal solutions required direct communication between the POS application and the payment terminal. Now it is possible to implement a payment terminal solution, similar to chat programs. In this solution no direct communication between the POS system and the terminals is needed. Thanks to NIO, multiple terminals can get connected to the server, and once the POS system gets connected to this server, it can send messages to any of the terminals in the cloud. The payment terminal cloud based approach has two major advantages. First, the POS can stay out of PCI scope, as it does not have immediate interaction with credit card terminals. Second, the data flows for card present and card-not-present transactions become one data flow, when the approach is used (as the POS system communicates with the server in the same way, no mater what the transaction type is: card present or CNP). 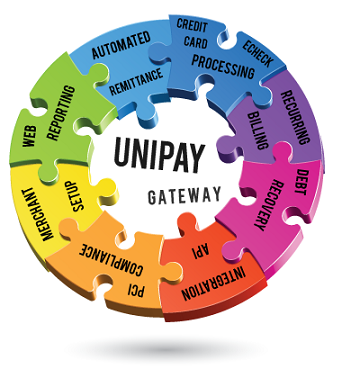 Read more about payment terminal cloud solutions in the respective article on Paylosophy. Are you going to accept credit cards through payment terminal cloud solution? Read this article to demystify the most essential points regarding this matter.